Furniture is a home necessity that adds comfort and interior design elements to the room. Whether your furniture is a big, soft lounge chair or a chestnut wood table, the piece should be well maintained so that it can last. Homeowners who invest in quality furniture and want to protect it do not have to rely only on plastic covering. Besides using furniture covers, there are other methods of keeping the furniture in good condition. There are a variety of elements within the solar energy of the sun that affect colored materials. 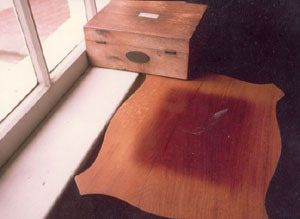 Sunlight that enters the home through the windows can cause the colors in the material of furnishings to fade. In hot areas of the country, such as Florida where the sun’s rays are stronger, household items can become damaged. Curtains and shades can only block out so much of the sun, and they require manual labor to open and close all the time. Heat, visible light, ultraviolet light, humidity and artificial lighting are all components that cause fading to occur. Ninety percent of the fading comes from radiation and UV light. Floors, draperies, carpets and walls are all susceptible to becoming faded by solar energy that escapes through window glass. When a home amenity becomes faded, it loses its value and beautiful appearance. You don’t have to replace your furniture every time it fades. Instead, opt for an energy efficient solution that blocks out UV rays – residential window tinting! Since fading also occurs from aging, low-quality dyes and chemical vapors of the ozone layer, window tinting cannot completely eliminate fading, but it can provide protection. 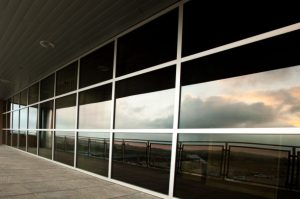 We at John Barnes Window Tinting offer high-quality film installation services for commercial buildings and residential properties. Our topnotch films range in strength and shade darkness, so depending on which type of film is applied to the windows, your furniture will be able to avoid fading for a longer period of time. Heat can be rejected up to 85% just by having your windows tinted. If your windows are impact resistance or dual-pane glass, the window tint is still safe to use! As long as your home is owned by you, our window tinting films come with warranties, so if they bubble or start to peel from old age, you can easily have it replaced. If you are looking to get a free estimate, just give us a call or fill out our contact form online. At John Barnes Window Tinting, we provide home window tinting in the area of West Palm Beach, Fort Lauderdale, Boca Raton and more. We also have a residential window tinting coupon available on our website that offers a 10% discount! Simply print it out from our website and present it to one of our employees to receive the deduction. Don’t forget, we also offer car window tinting services in West Palm Beach, FL, for all types of vehicles! Bring your car into our shop and we will install it using state of the art equipment. This entry was posted in Uncategorized on March 30, 2015 by admin.